Preheat oven to 180°C. Grease and line a 23cm spring form tin and set aside. 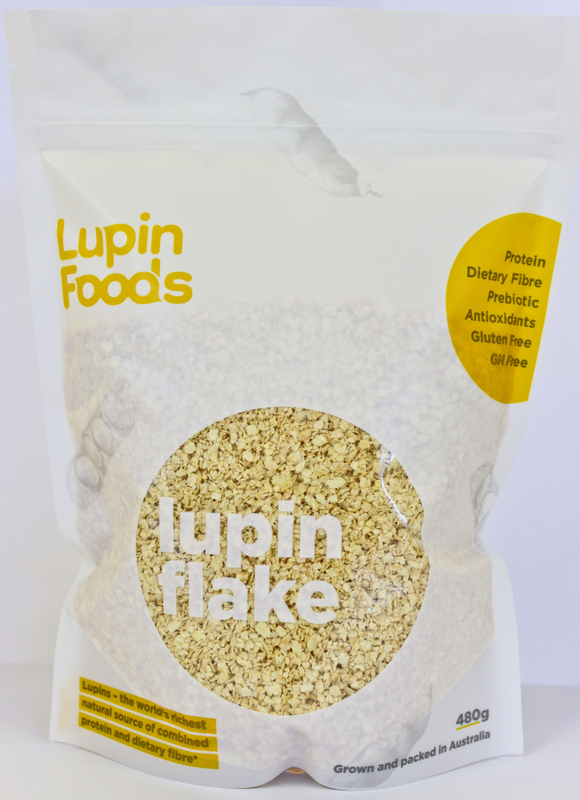 Place Lupin Flake and oats in a heatproof bowl and pour boiling water over them. Stir to combine and set aside to cool to lukewarm or room temperature. Beat butter and sugars together until soft and creamy and light in colour. Add the eggs one at a time and beat thoroughly after each addition. Add vanilla and beat to combine. Add the flour mixture to the butter mixture in two parts, alternating with the Lupin mixture, and fold in with a metal spoon. Fold in the grated apple. Pour the batter into the prepared tin and bake for 30-35 minutes. When you press the top of the cake with your fingertip and it doesn’t leave an impression, the cake is cooked. Turn the cake onto a cooking rack. Preheat grill to 180°C and place cooled cake on an oven tray. Place Lupin Flake, nuts, fruit and coconut in a heatproof bowl. Combine butter, evaporated milk and coconut sugar in a saucepan and heat to a simmer, stirring to melt the butter and dissolve the sugar. Leave on the heat to caramelise but not burn. Remove the pan from the heat, pour caramel into the Lupin Flake mix and stir well to combine. Spread topping evenly over the cake and put under the grill for 3-4 minutes until topping is bubbling and golden brown. Take care with this step, the topping burns easily. However, the topping tastes best when grilled as dark as possible but just shy of burnt. We use coconut sugar but if you don’t have that in your pantry you can substitute dark brown sugar. 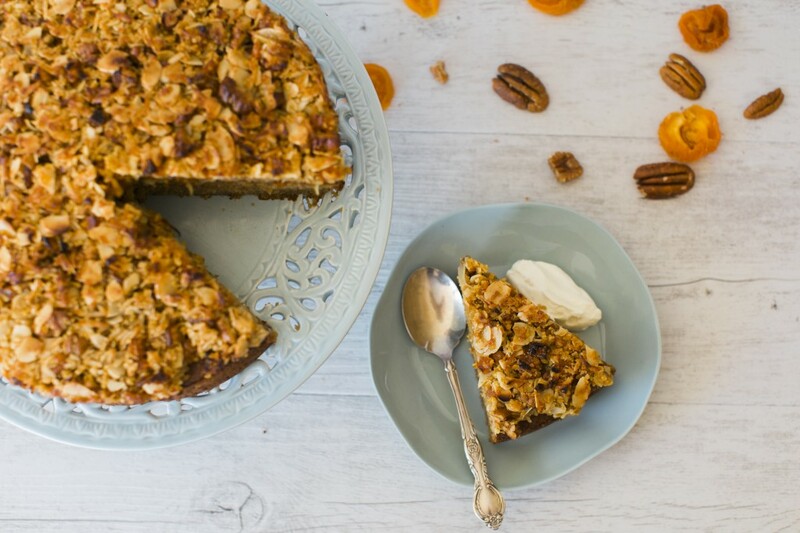 The topping ingredients can be a combination of whatever fruit and nuts you choose. These cakes can be made muffin or mini muffin size. You may need to make extra topping if dividing the batch into small cakes. This cake is best consumed the same or next day but will keep 3-5 days in the fridge.